VacuVin pump and stopper lets you keep an open bottle of wine fresh for up to two weeks by removing air, thus reducing oxidation and preserving taste and bouquet. This is what we use at the winery and at home. The original & world's best selling wine preserver. 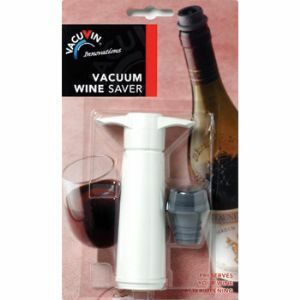 The strong vacuum seal keeps wine fresh and delicious for days.